One of the biggest gambling growth markets at the moment is without a doubt – Political Betting with vast sums of money now being traded on all major political events. In the UK, the recent ‘Brexit’ Referendum had over £100 million traded on Betfair alone(the highest volume traded on any Betfair market) so it’s fair to say Political Betting is here to stay and has captured the imagination of the betting public. To help understand more about Political Betting, I recently spoke with Paul Krishnamurty – a freelance journalist and professional gambler who specialises in these markets. Paul provides political tips for Betting.Betfair and also via his own Political Gambler website so is well qualified to talk on the topic. As part of this interview, I wanted to understand what is behind the surge of interest in these markets, how a newcomer can get involved and of course – the performance of Paul’s tips (plus his advice for the US and Labour Leader elections!). SBC: Political Betting has certainly grown in the past few years with huge sums of money now being traded on all major markets. What do you feel is behind its newly found appeal? Paul: Political betting is relatively new. I encounter people all the time that knew nothing of it – including politicos (political aficionados). I think it attracts a different type of punter, one whom may bet on nothing else. For me, the attraction is nuance. Unlike say football where millions have access to and can understand the basic information, politics is geared towards the expert. I know future leadership candidate’s years before many have heard of them. And, my results keep me keen as I’ve never lost overall on a leadership election and have had 25/1+ wins on Iain Duncan Smith, Michael Howard and Jeremy Corbyn, as well as 16/1 about David Cameron. It seems to me that real-world betting is less luck-driven than sport – the same doubtless applies to other novelties like Sports Personality Of The Year and X Factor. SBC: Where there is lots of information available such as in the US or UK Elections, we would expect an efficient market with very accurate prices available. What do you look for when weighing up a political betting market? Paul: The more nuanced the market, the less likely we’ll see accurate odds but this can also be the case from time to time in the bigger markets. Opening lines don’t seem to be very accurate. For example, Jeb Bush was priced at 5/4 for GOP Nomination at the start, yet is now 9/1. With multiple other favourites in the betting being overhauled so far, often the early market favourites are too short, compared to their chances. If we look at the historical markets for the next Tory leader, in the UK, every single opening favourite in the past 50 years last lost. Personally, I couldn’t understand how Liz Kendall was the 11/4 favourite when the next Labour leader market opened in 2015. It seemed as though she was so short in the betting, because the UK newspapers (influenced by the Tory party) had hyped her so much. Anyone who know Labour supporters, know they are the direct opposite of Tory supporting newspapers, and Liz ended up with just 4% of the vote. SBC: It’s been a huge year for political betting with Brexit, Labour & Conservative leader markets and of course – the ongoing US Presidential election. How have your political betting tips fared this year and what have been the highlights? Paul: It’s been the busiest year ever, pretty much non-stop on either or both sides of the Atlantic. In particular, I published an extensive portfolio via www.politicalgambler.com for the Republican Nominee, EU referendum and Conservative Party Leader markets. Brexit was the highlight, both in terms of success and relatively short work. By backing a combination of a narrow Remain win (50-55%) and Leave, that portfolio earned 170 units profit. I also made 87 units on the Republican nominee but it felt like losing as Trump was the worst result by miles. I made money from laying Jeb Bush when he was a 35% favourite, backing Ted Cruz when a 3% outsider and Paul Ryan at 0.5%, partly cashing the last two out for a nice profit. However I didn’t think Trump would win and timed my cover badly. Likewise on the Tory leadership, a mixed bag of results over a long period yielded an overall profit of 80 units. My early bets were perfect, backing Theresa May twice at 8% and 10%, Boris Johnson at 20%, and earning a profit from backing George Osborne at 11%, then laying at 33%. However when the race started, I was blindsided by Boris Johnson’s withdrawal, 24 hours after I’d placed 80 units on him. I clawed 45 of them back by getting on May again at odds-on. SBC: Looking back historically – how have your tips fared in years gone by? Do you have any numbers you can share for example in the last US Election, the 2015 UK General Election or the Brexit referendum? 2015 Jeremy Corbyn to be Next Labour Leader: 180 units profit. Backed him at 4%, laid at various upwards of 13%. 2015 UK General Election: 30 units profit from a massively outlay across dozens of markets. A bad result. I predicted the Tories would beat Labour roughly 280-270, instead it was 330-232. Big losses on the overall majority market, but covered by wins on UKIP seats and several constituency bets. 2012 US Election: 300 units profit. Backed Obama at 52% two years earlier, never laid back. Also made a good profit from backing him to win over 300 electoral college votes. Small loss laying Mitt Romney to be Republican nominee. SBC: There is huge interest in the US Election with £29 million matched on Betfair already in the next President market. What advice would you give to those keen to get involved in trading this market? Paul: The odds are shrinking fast on Clinton, but don’t oppose her. If you don’t like backing 80% chances, check out the side markets, such as state voting, percentages of vote share and the distribution of electoral college votes. SBC: You are on record as stating you don’t believe Trump will win – Can you outline why and what positions you currently have (and might also recommend!). Paul: I’ve been against Trump from the start and have laid him several times from 18% to 31% in the Next President market. He is a unique, historically poor candidate who only won the nomination due to a bizarre set of circumstances in the GOP race and monopolising the media coverage. He consistently records over 60% unfavourable ratings and has turned the race into a referendum on his suitability. His ceiling is well below the required 50%. The closer swing voters consider him, the more they’ll turn away. Obviously, the odds on Clinton are prohibitive, but there could still be some value in other markets. I think she’ll win at least 330 electoral college votes, taking all or nearly all the toss-up states won by Obama (who got 332). Plus due to Trump’s unelectability, several Republican states are coming into play – Arizona, Georgia, Utah, for example. I haven’t bet yet but am tempted to lay Trump if short odds-on in some of these. He has no ground game to speak of, and could be overwhelmed if current trends are maintained. SBC: How about the other active Political market – the Labour leadership contest. What is your take on this given the current markets and what positions do you hold? Paul: I have 30 units on Jeremy Corbyn at 1.9, and no plans to lay back at present. I think he could have been vulnerable to a heavyweight opponent but Owen Smith is a bizarre choice, and no more electable than Corbyn (the fundamental reason stated for challenging him). If Corbyn wins to stay in post, the ‘next’ Labour leader market stays live. Here I have existing bets on Lisa Nandy, Clive Lewis, Tom Watson and Stephen Kinnock. I’m particularly interested in the first two. SBC: Finally, what resources (e.g. newspapers, pollsters, blogs, social media) would you recommend to help inform those keen to bet on politics? Paul: A wide-range, including on the extremes of the argument even if you disagree with them. The narratives pumped out on Fox News or MSNBC will influence Right and Left voters respectively. Build a Twitter timeline full of Republican or Democrat supporting sites – Breitbart, Commentary, Salon, Huffington Post. Once you have this good bank of grassroots opinion, add all the less partisan sites. Washington Post and Politico are superb resources. The Hill is a great up-to-the-minute Twitter follow if you don’t mind a lot of click-bait. For polling, Realclearpolitics is peerless. CNN is a good centre-ground TV alternative to Fox/MSNBC, and does an outstanding election night show. 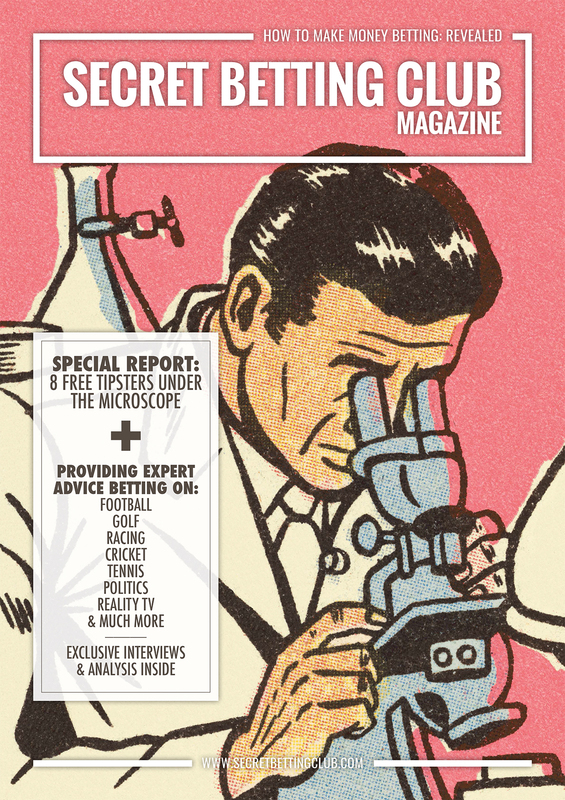 Paul is also featured in our recent special report on free tipsters, where we interviewed and analysed the results from 8 betting experts with proven track records across a variety of markets and sports. Its safe to say there are some very good free tipsters out there if you know where to look! 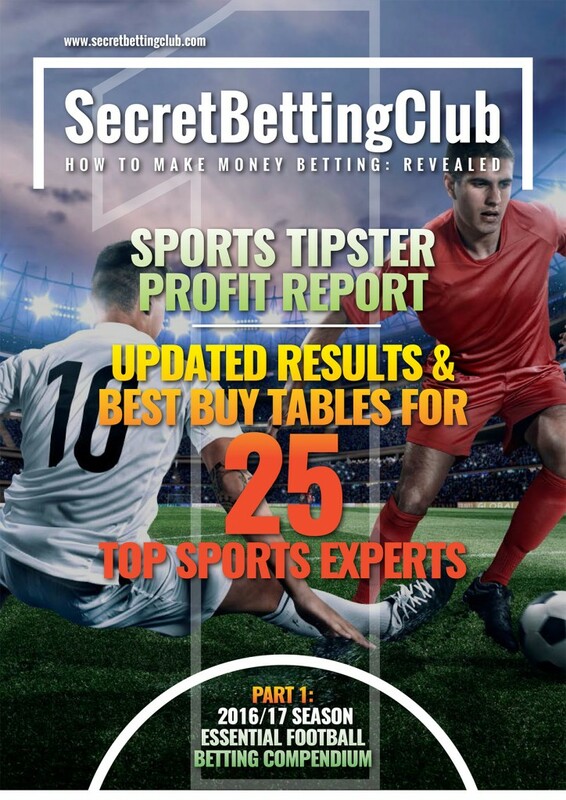 You can pick up your copy of this free tipsters report, the instant you join our service at the Smart Betting Club with full access to our exclusive members-only area. Not only this but as an SBC member you can also gain full access to our monthly Betting Magazines, Practical Punter Reports & enjoy the peace of mind of our 90 Day Money Back Guarantee if not satisfied once joining! Last month I revealed how my own personal multiple betting strategy on Trixies had made me over £1600 from just 3 bets – and following this article, one SBC member got in touch to share details on his own success placing his own Trixies and the fantastic sums he had racked up. If you are not familiar with the idea of a Trixie – its where you take 3 tips and combine them to make 3 doubles and 1 treble. All bookmakers offer it and it can generate a serious payday when all 3 selections win, plus a decent return if just 2 of the 3 come in. He told me that his net profit so far this year stood at £19,400, whilst he made £27,100 last year using this methodology. ….And just after I wrote this email he also got in touch to share yet another winning Trixie yesterday where he scooped £671.12 from £28 staked in total. This was after Abingdon & Seventh Heaven won at York (9/4 & 4/1) and Pied Du Roi at 9/4 at Fontwell. Here is his betslip. 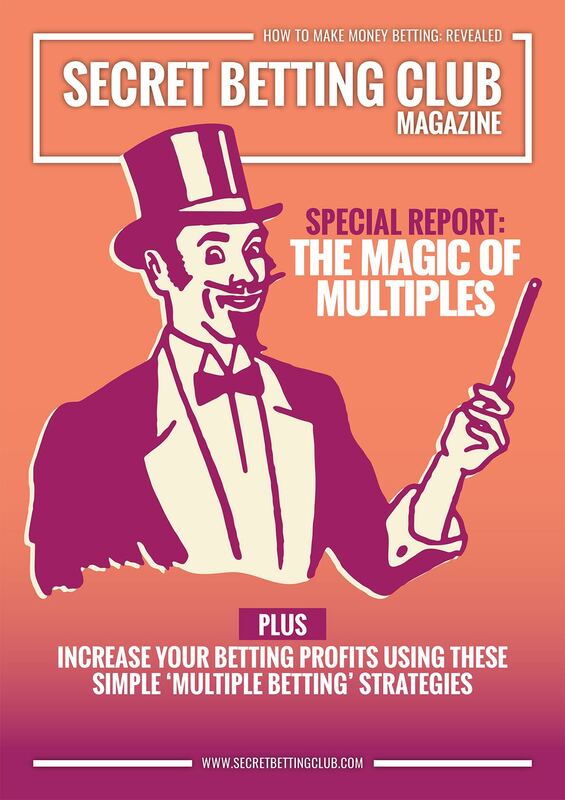 Understanding how multiple bet strategies can work for you is one thing, but how do you go about finding tipsters that can help you make the most of it? Well one simple approach (and something that many people do) is to simply combine tips in various multiple bets as they come through. For example, if you receive 2 single tips from 2 different tipsters, you might want to place a simple double bet to a lower stake in case both win. If you get 3, you might like to consider a Trixie bet. If you wanted more dedicated advice, then there are also a number of tipsters that advise multiple bets where they see value for you to follow. Take one of SBC’s Premium Tipsters – Jason James as a case in point, because not only does he have a great record betting on singles, from time to time he also puts up a number of doubles when he sees value. For example, on the 29th July – Jason put up 3 tips and as well as backing each horse as a single, he also felt there was value in adding a win double for 2 of the horses. All told it was a great day with all 3 horses winning and a 43.16 point profit from just 7 points staked. The win double itself featured two horses at 3/1 and 11/4 and for 2 points staked returned 28 points in total. Here is the email Jason sent that day. A similar story unfolded on the 7th August where again he put up 3 single tips alongside a win double. All 3 horses won to generate 21.13 points profit from just 6.5 points staked. Again here is his email from that day. The win double on this occasion featured two horses at just 2/1 and 5/4 and the 1 point win double here returned 8.63 points in total. Jason doesn’t put up double tips all of the time, but instead advises them selectively when he feels there is value in taking the bet on. It’s a really simple but effective way of building up profits. Find out more on Jason and his very successful Quantum Racing service. Secondly – multiple betting does take patience to wait for the big return to come in. With my own Trixie bets, I have plenty of occasions whereby none or perhaps just 1 of the bets come in and I take a loss. Yet, these are often made back and them some when all 3 come in. You also get a good return when 2 out of 3 bets win as well – enough to keep you ticking over usually. If you are interested in learning more about this topic, then do be sure to pick up our special ‘Magic of Multiples’ Report as published just last month. It should provide a number of example strategies and ideas on how you can start to implement your own Multiple Betting approach. You can access The Magic of Multiples Report the instant you sign-up for a Smart Betting Club membership. In his latest video, SBC Editor, Peter Ling discusses how the Smart Betting Club’s amazing 6-part ‘Essential Football Betting Compendium’ can help you during the 2016/17 season. The Essential Football Betting Compendium will help you whether a total newcomer or experienced campaigner when it comes to profitable football punting! Discover the Betting Exchanges & Brokers that Professional Punters use. Find out how you can get better odds and lower commission rates for your bets! 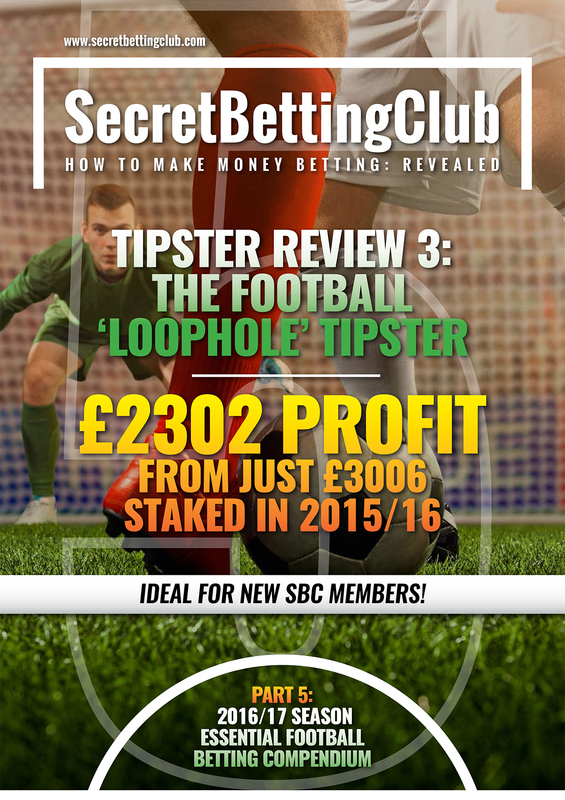 Check out the amazing Football ‘Loophole’ Tipster, who made a £2302 profit from just £3006 staked in 2015/16. He utilises bookie specials, accas and shrewd low-risk bets to make some very easy to follow profits. Best of all the first 20 SBC members to sign-up can save 20% on the cost of joining him! 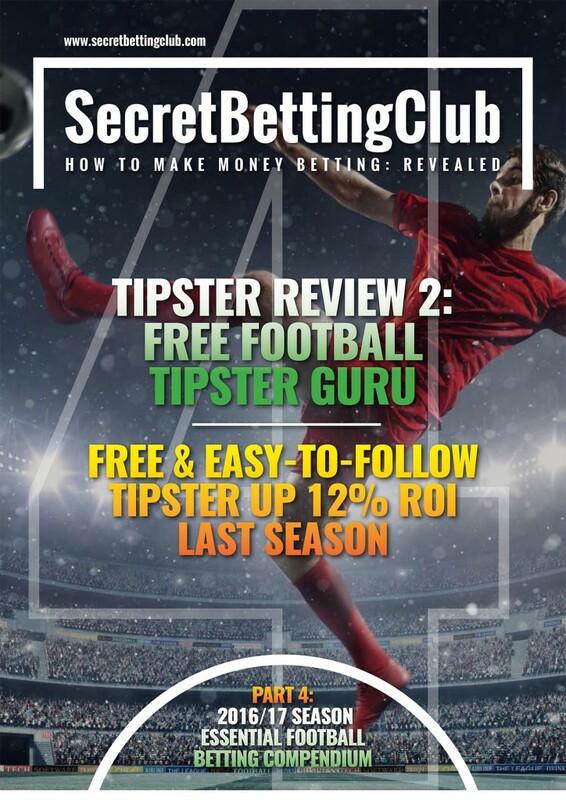 Enjoy this exclusive SBC review of the FREE Football Tipster with a fantastic 12% ROI record across both UK and European competitions during the 2015/16 season. Read a full interview with the tipster in question plus details on how you can follow for free during the whole of the 16/17 season. The Brazilian Football Expert up 7.5% ROI from 757 Asian Handicap bets. & A lot more besides! All 6 parts of the Essential Football Compendium are available to download the instant you subscribe to the Smart Betting Club. 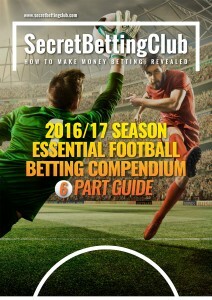 Part’s 4 & 5 of SBC’s 2016/17 Season Essential Football Betting Compendium have just been released – featuring reviews of 2 more profitable tipsters to check out! Inside you can find details on the free football tipster with a 12% ROI last season (and how you can follow free in 2016/17) plus the outstanding ‘loophole’ tipster with a fantastic record. What’s In Parts 1, 2, 3 & 6…. Our 2016/17 Essential Football Betting Compendium comes in 6 parts, with Parts 1, 2 & 3 already available and Part 6 due for release later this week. The only way to pick up all 6 parts of this unique compendium is as a Smart Betting Club member. The instant you join you gain full access to the SBC service and give yourself the best possible foundations to make this coming season a betting success. If taking up either a Gold or Platinum subscription you can also enjoy the peace of mind of their 90-day Money Back Guarantee if not satisfied once joining! Ensuring you can sign-up totally risk-free, with everything to gain and nothing to lose. Earlier this week we released Part 3 of our Essential Football Betting Compendium – featuring our exclusive review of the Brazilian Football Tipster that has really impressed us after stacking up some serious profits. Predominantly, this was down to the tremendous performance of his Asian Handicap tips which have made 118 points profit from 757 bets and at a ROI of 7.5%. Yet as I am at constantly urging readers of these emails to be aware – making a profit in theory and a profit in practice are often two very different things when betting. After all – how many of you have experience betting in the Brazilian leagues and know exactly which bookmakers price these games up and how their odds stack up? Not many of you I imagine! So to gauge more on just how we could put these Brazilian tips profits into practice – we ran some very detailed odds analysis – Allow me to reveal all! (Plus lookout for Part 5 on Monday featuring the amazing Football ‘Loophole’ Tipster, who made £2302 profit from just £3006 staked in 2015/16). As standard practice when reviewing a tipster, we initiate some very detailed odds tracking analysis, whereby we observe how the quoted odds a tipster put forward rise or fall. If for example a tipster is going to settle a bet at 7/1, when you can only get 5/1 – there really is no point in following! SBC Team member, David, is the man in charge of our odds tracking and he spends hours each week monitoring the betting markets and logging the odds for each tipster under our review microscope. It’s a herculean task but it is a hugely worthwhile one as the results are often invaluable. As part of the Brazilian tipster review, David tracked the price movements of 277 tips between March and June 2016. He used two bookmaker panels for this exercise; a “UK” panel (consisting of Bet365, Coral, Ladbrokes, Matchbook, Paddy Power, VCBet, and William Hill), and an “Asian” panel (188bet, Pinnacle, and SBOBet). The advised odds were recorded and compared to prices available on receipt of email, 60 minutes after receipt, and the closing (kick off) price. For those of you with only access to UK bookmaker accounts – the good news is that the odds available when the tips were received could be beaten by around 0.8% ROI on average. Those of you waiting up to 60 mins or when the odds close would be between 1.3% and 2.5% worse off. Once again, the good news was that if placing your bet when it was received would result in a 1% increase in overall ROI – signifying the odds quoted by this tipster were both realistic and beatable. More positive news came in the form of the odds available after 60 minutes had elapsed, which still showed an increase of 0.4% ROI. Those getting on as soon as they receive a tip can expect to improve ROI by between 0.8% and 1% ROI. If getting on within an hour, you can expect at worst a 1.3% ROI drop if confined only to UK bookies or at best a 0.4% ROI increase if accessing other ‘Asian’ bookies. The odds do move downwards between 0.9% and 2.5% ROI towards kick-off, indicating a tipster that has a clear edge on the betting market. So to go back to our original question: Does this tipster make both a practice in theory and in practice?…The answer would have to be a resounding yes. Of course, the profits you make are dependent upon which bookmakers you utilise. The more bookies and exchanges you hold accounts with, then the greater the odds you can achieve. 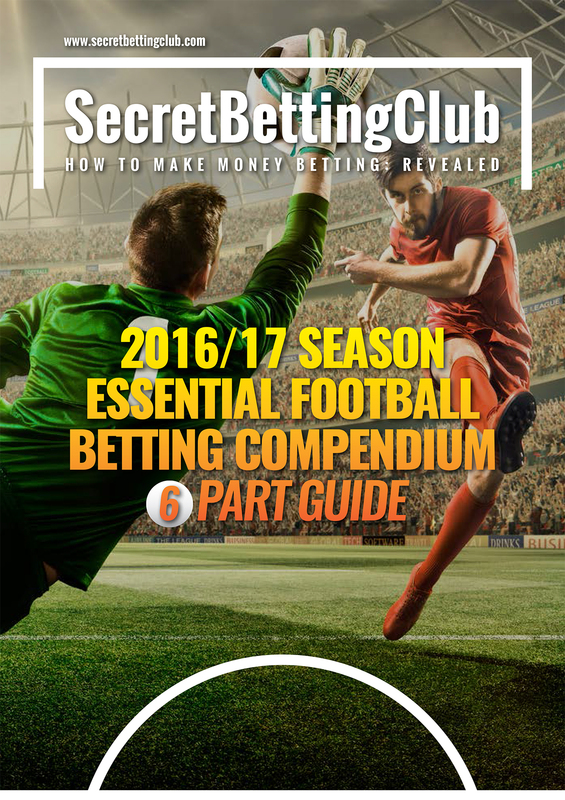 By signing-up you will also gain full access to all 6 parts of our Essential Football Betting Compendium – all you need to make a profit on the beautiful game this 2016/17 season. Final Call – Fill In Our Bookie Restrictions & Closures Survey! Final Call – Fill In The SBC Restrictions & Closures Survey! If yet to do so – make sure you fill in our 2016 Bookmaker Restrictions & Closures Survey before it closes on Tuesday the 9th August. Featuring just 11 simple questions – your answers will help us to raise awareness of this issue – with a full analysis as to the depth of the problem due in our forthcoming FREE ‘Getting On’ report. All who complete the survey can also enter a free prize draw to win a brand new Toshiba Laptop Computer. In my regular conversations with punters, one of the biggest issues often raised is the level of stake restrictions and account closures faced by many of them when betting. For those unaware – certain bookmakers do operate a policy of either restricting the level of stake allowed or simply closing accounts from those punters they deem as ‘unprofitable’ – especially those betting on horse racing only. Some bookies are worse than others but after years of denying this problem exists, it is these days widely accepted as fact. To get a handle on the depth of this problem, the Horseracing Bettors Forum (created by the BHA in August 2015 to represent punters interests) published their own findings recently which claimed that as many as 20,000 accounts had been closed in the past 6 months alone. As useful as HBF’s survey was, I want to take this a step further and am inviting as many as you as possible to fill in our own 2016 Bookmaker Restrictions & Closures Survey, which I believe will uncover a lot more on this problem – including naming and shaming the very worst offenders. First of all, be assured that you can fill in the survey completely anonymously – thus allowing you to say exactly what you think and share your experiences honestly. Most bookmakers view the Smart Betting Club as a major nuisance given our work helping punters make money betting (and consequently help the bookies lose it!) so you can be assured no details will be shared with them. The complete findings from this survey will be revealed in a special FREE Report due to be released later on this year. Granting you full access to all of these results PLUS exposing the truth about bookmaker restrictions and closures to a wider audience. We ran a similar survey back in 2013 although this time we will be publishing our entire findings for free on the SBC website for all to view. 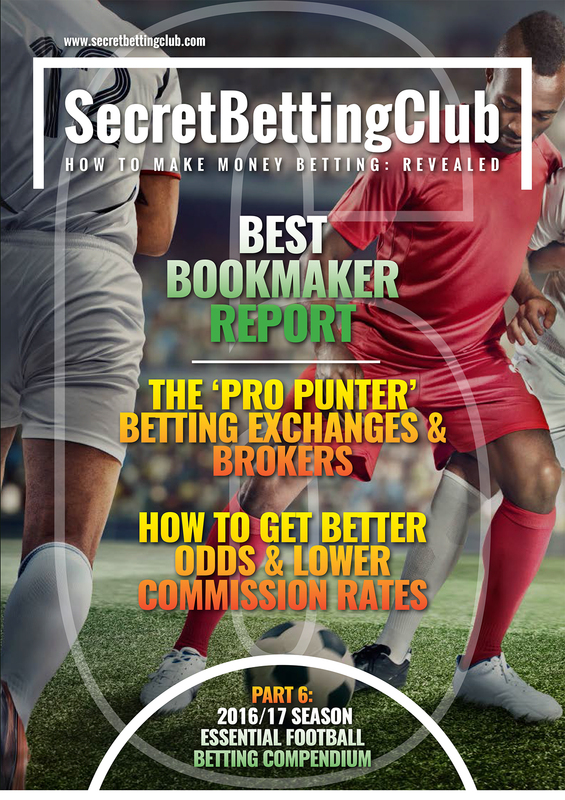 As the Smart Betting Club is 100% bookmaker independent, we are happy to name and shame the worst culprits (as well as highlighting those offering a good service) and will do so in this forthcoming report. All who complete the survey can also enter a free prize draw to win a brand new Toshiba CB30 Chromebook. A superb laptop computer with a 13.3” screen, Celeron 2.16 GHZ processor and 9 hours of battery life – ideal for betting with! Once you finish the survey you will be invited to enter the prize draw with the lucky winner to be revealed once the survey closes. To make the survey is as impactful as possible, we want as many punters as possible to fill it in so your help in getting the word out on this will be essential! The simple truth is that the more punters taking part, the greater the interest level will be from the powers that be in its results. I also have held discussions with journalists from a number of major publications and broadcasters who are very interested in what this survey might uncover. So once you fill it in, please feel free to share the survey link with your friends via Text, Email, Twitter, Facebook, Whatsapp – however and whichever way you choose to do so! This survey is the pre-cursor to the release later this summer of a specialist SBC Report ‘Getting On’, which will be published for free. Guidance from expert punters on the tactics they use to enable them to get their bets on despite restrictions and closures. The sports & markets you need to focus on for profit in today’s betting world. Look out for more details on the release of this report later and the findings of this survey later this year. You can also check out more on my take on this issue via a number of articles and interviews in which I have been involved previously using the following links. 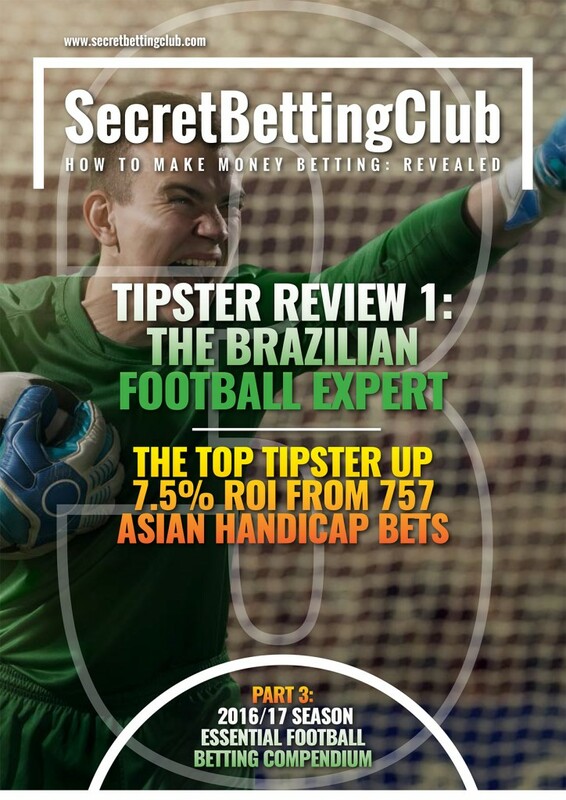 Parts 3 of SBC’s 2016/17 Season Essential Football Betting Compendium is out now, featuring our exclusive review of a very profitable Brazilian Football Tipster. We have been tracking this tipsters performance intensively for the past 18 months, during which time he has made a 118-point profit at 7.5% ROI from 757 Asian Handicap tips. Sign-up now as a Smart Betting Club member to gain instant access to Part 3 (plus Parts 1 & 2 which are out now and 4, 5 & 6 which are due for release soon) of this must-read compendium! Genuinely Profitable Brazilian Tipping Expertise. Born and bred in Brazil, the tipster we review in Part 3 employs a team of scouts to help him identify the best value betting tips – in leagues that many bookmakers and punters know very little about. He uses his expertise to great effect in the high value Asian Handicap markets and perhaps best of all – our tracking indicates that the odds he quotes are realistically achievable. We observed the odds movement on 277 bets between March and June this year and found that on average you can expect to better the advised odds by between 0.8 and 1% ROI, simply by shopping around and using recommended bookmakers/exchanges. Making it both a practical and profitable tipping service! Grab Parts 1, 2 & 3 Now! You can access our full independent review of this Brazilian Football Expert in Part 3 of our Essential Football Betting Compendium, with Parts 1 and 2 also now available (read more about them here). Parts 4, 5 & 6 will feature even more professional betting advice and will be released in the next fortnight. Sign-up now to receive all 6 parts as they are published and give yourself the best chance of success this coming season! Earlier this week we released Part 1 of the 2016/17 Essential Football Betting Compendium – our latest Sports Tipster Profit Report, featuring the lowdown on the very best sports tipsters we proof. In the Profit Report, you can find updated results, rankings and best buy tables for 25 top sports experts – all as tracked by the team here at SBC. The vast majority are football tipsters, with many of them having a track-record of making regular profits for those that follow them in each week. To help illustrate the potency of the tipsters within the Profit Report, I have picked outjust 8 of the 25 tipsters we track and listed their performance if following at just £10 or £20 per point size advised in the table below…. You can also view some key points such as the number of bets tipped, their ROI and how long they have been tipping (Helping to prove that their record is no flash in the pan). (Sorry but as the full details of this report is so potent I have had to protect the tipster names and details for SBC members only – hence why they are Tipster A through H below). At just simple £10 or £20 stakes, each of the 8 tipsters has made a fine profit over several years and thousands of tips. Take for example ‘Tipster C’ who has maintained a 13.51% ROI and made 795.5 points profit since March 2012. At just £10 stakes, this equates to £7,955.30 profit. In fact, all 8 tipsters have made a good long-term profit, whether it be to £10 or £20 stakes and all have passed the test of time. Yet as good as the above table is – it isn’t always the most scientific way of comparing tipsters. 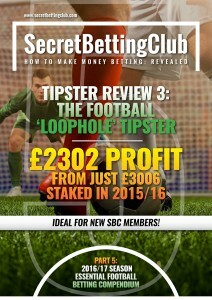 We also like to weigh up tipsters based on what we term ‘Betting Bank Growth’, which is effectively showcasing the tipster providing the biggest return, based on our sensible and realistic betting bank suggestions (something we explain in the 100-page ‘Pro Gambler Blueprint we supply to all new SBC members for free). We reveal the betting bank growth by comparing each tipster if following from a £2000 starting point, although in the example below we have also included a £1000 starting point to help underline the fact that you don’t need a huge initial amount of money to profit here. Once again, whichever way you look at this, each of the tipsters has made a tremendous profit and all to sensible betting banks and amounts. For example, Tipster D has made as much as £11,564 to just a £1,000 starting point – multiplying its starting bank many times over. Tipster E and H have also made great strides from a £2000 bank, with as much as £13,720 and £12,917 profit generated respectively since they began. A couple of the tipsters such as F and G are probably best suited to slightly larger betting banks (£3,000 upwards) as they do concentrate on quality not quantity of tips. Yet even they will have made upwards of £4,300 profit from just a £2000 starting point. All told, to 8 X £1000 starting banks you would be sitting on as much as £41,668.20 if you followed all these racing tipsters – an average of £5,209 per tipster. There is no betting at silly figures such as £200 per bet or higher, like some tipsters advocate you do. Instead, the approach is about making regular and consistent profits. And most importantly…can genuinely make you money betting! 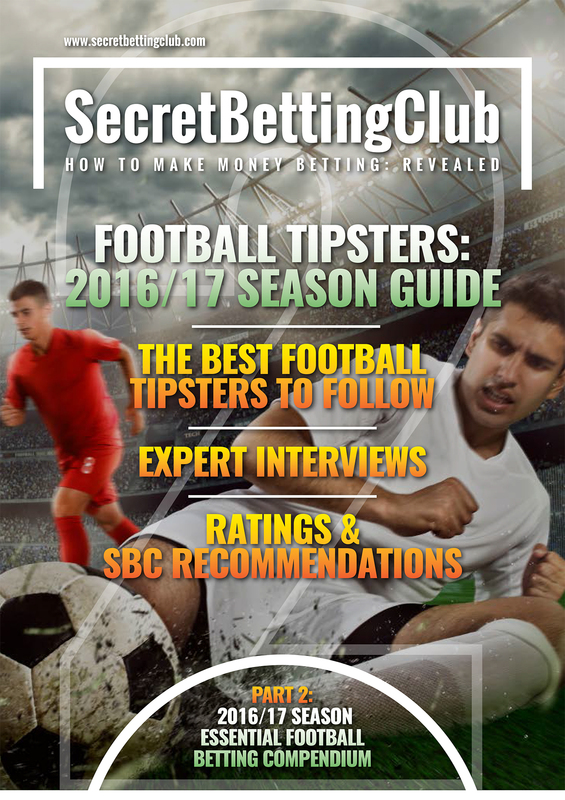 As well as this Sports Tipster Profit Report, by joining the Smart Betting Club today you can also access Part 2 of our Essential Football Compendium: The 2016/17 Season Football Tipster Guide. 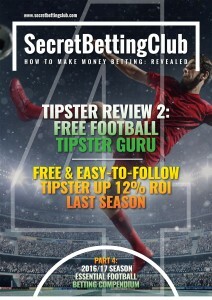 Inside this you can read exclusive interviews with 13 of the very best football tipsters on just how they make money betting and their plans for the new season. Alongside this we have an updated review on each football tipster plus our recommendations on which ones to follow. Parts 3, 4, 5 & 6 of our Essential Football Compendium are also due for release ahead of the 2016/17 season – each of which will be available to you as a Smart Betting Club member. So sign-up today, take advantage of our 90-day money back guarantee and current £16 discount on all membership offers and see what the fuss is all about!